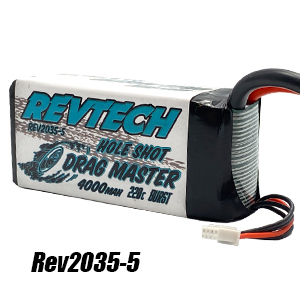 Each Revtech Drag Racing LiPo battery is produced with higher grade safer materials, which results in longer battery life. The new assembly technology limits "cell puffing" resulting in a more durable and impact resistant battery. 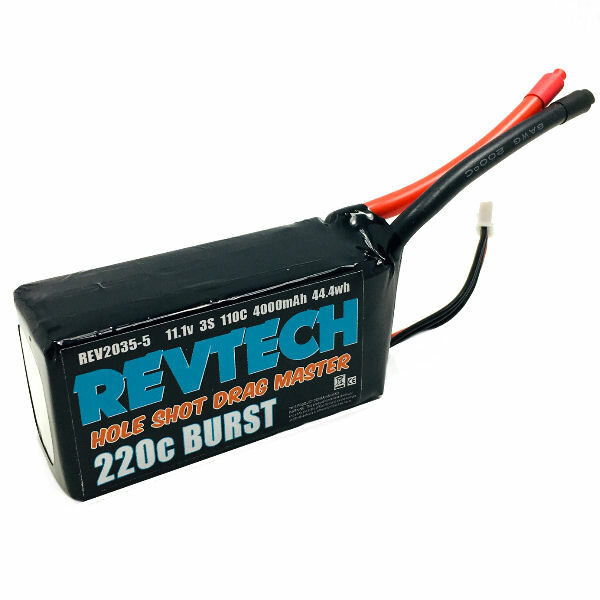 POWER Yourself to the Next Level with a Revtech LiPo Pack! 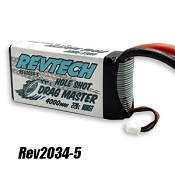 **Revtech Graphene LiPo Batteries require a LiPo compatible Charger.